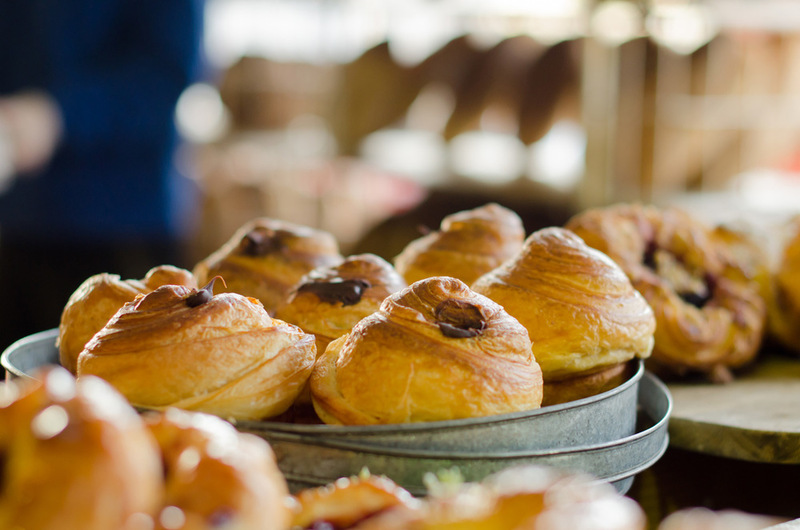 Opening in 2000, Canberran’s have grown to love Bread Nerds range of artisan breads, delicious New York style boiled bagels and wholesome pastries and cakes. We are Canberra’s largest privately owned bakery and we hand form all our breads. With a vision of creating wholesome, quality produce using natural ingredients, free of artificial colors and flavorings, we feel our products contribute to a well-balanced healthy diet. For our artisan sourdough we use natural leaven yeast about 10 years old. The bagels are boiled and then baked which gives them that chewy texture that everyone loves. Here at Bread Nerds, we are always looking at exciting new innovative products to stimulate the taste buds of our customers. Our aim is to create delicious, high quality products for the local Canberra community. Bread Nerds traditional white sourdough loaf. Light and tangy in taste with a chewy, golden crust. A blend of white and wholemeal flour with a mix of multi-grains for added flavour. The perfect combination of a light rye dough with caraway seeds to create a flavoursome European style loaf. A crusty white sourdough loaf with whole soy seeds and linseeds folded through. 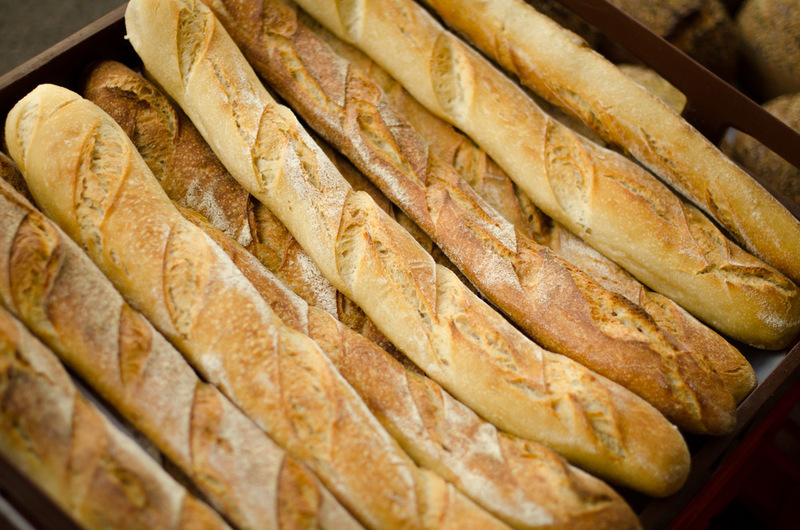 Bread Nerds beautiful sourdough baguette; tangy, crusty and delicious. Traditional white sourdough with Kalamata olives folded through. A blend of white and wholemeal flour with sultanas, raisins, apricots and cinnamon mixed through to create a delicious and wholesome fruit loaf. A devilishly delicious mix of wholemeal, rye and white flour with many seeds and grains folded through and rolled on top. Healthy, heavy and wholesome! A very dark rye sourdough; the way black bread gets it unique flavour is by soaking day old bread in water overnight and then adding that to the mix of rye and white flour when it is being created. Bread Nerds italian ciabatta has a thick, golden crust with a light and fluffy inside. A classic French yeast bread that’s rich and golden with butter and eggs, a paper thin crust and a sweet, light inside. Traditionally boiled New York style bagels; chewy and delicious, just the way everyone loves them! Bagels with sesame seeds sprinkled on top giving a beautiful nutty flavour. Chewy bagels topped with crunchy poppy seeds . Delicious wholemeal dough with grains folded through. Flavoursome blueberries mixed in with the bagel dough to create a fruity delight. An aromatic blend of cinnamon and whole sultanas; the perfect flavour combination. Just the right amount of crusty, melted Cheddar cheese sprinkled over the bagel. A delicious cheese bagel with jalapeño’s mixed through for an added kick of spice. Delicious chewy bagels topped with roasted onions. Classic buns that are rich and golden with butter and eggs, a paper thin crust and a sweet, light inside sprinkled with sesame seeds. Miniature brioche buns; perfect for mini hamburgers or pulled pork rolls. Traditional light and fluffy hamburger buns topped with sesame seeds. Crusty rolls with a light and fluffy inside. Traditional flat rolls, made using focaccia dough. Brioche dough with charcoal powder mixed through to give a unique colour but the same flavour everyone loves. Crusty white rolls with that amazing sourdough flavour. White rolls that taste exactly like salted pretzels on the outside and are soft and fluffy on the inside. Moist white rolls that have a beautiful flavour because of the potato in them, perfect for an alternative to regular hamburger buns. Spiced apple and custard topped with a biscuit crumble; just like grandma used to make. Beautiful apricots with flaky golden pastry. Whole flavoursome blueberries with custard, delicious! Slightly sour cherries make this danish tangy and irresistible. The perfect combination of blueberries, blackberries, strawberries and raspberries on top of creamy custard. Pears topped with raspberries; they not only taste delicious but they look beautiful as well. A sweet, golden loaf filled with banana and spiced. Rich chocolate brownie slices with walnuts folded through. Slices of delicious biscuit bottom, gooey caramel, topped with a layer of chocolate. Traditional buttery, flaky Vienna style croisants. Butter croissants filled with creamy custard, topped with almond frangipane, flaked almonds and icing sugar. Traditional style chocolate croissants, filled with dark chocolate using flaky, buttery pastry. Croissant dough, baked in a muffin tray, topped with cinnamon sugar and filled with either salted caramel, chocolate ganache, mocha ganache or nutella. Traditional Italian Style donuts; chewy, sweet and delightful. Round cinnamon donuts filled with sweet strawberry jam. Round cinnamon donuts filled with a creamy vanilla bean custard. Round cinnamon donuts filled with a gooey salted caramel. A traditional mix of custard, cinnamon and raisins between scrolling layers of buttery pastry. These scrolls are filled with chocolate and ground hazelnuts; absolutely delicious! Muffins filled with whole blueberries. Muffins with strawberries, blueberries, blackberries and raspberries mixed through. Muffins with whole raspberries and chunks of white chocolate. 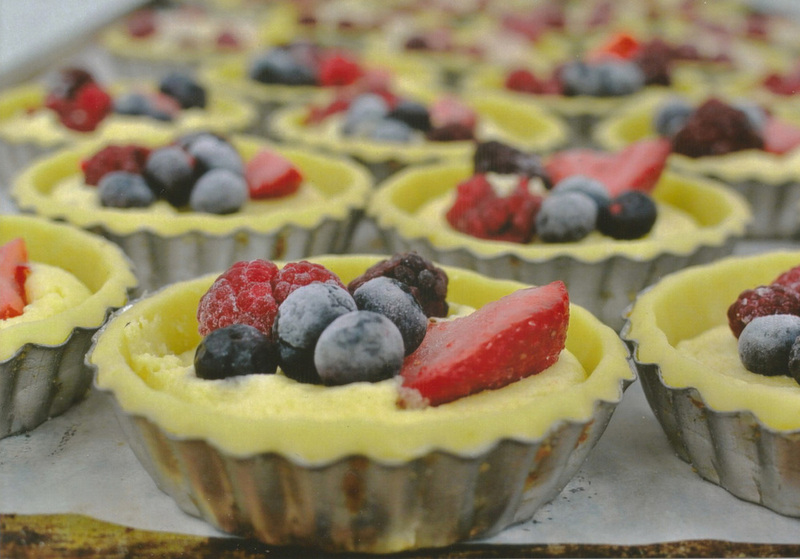 Bread Nerds create an beautiful assortment of frangipani tarts including blueberry, blackberry, pear and raspberry, strawberry and lastly mixed berry. 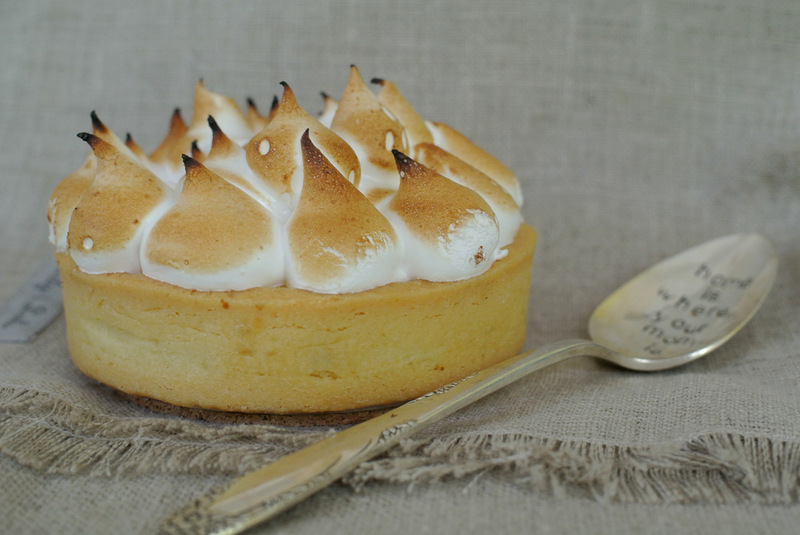 We can also create tarts such as lemon meringue and salted caramel, chocolate and espresso upon request. Hidden away in the industrial streets of Hume, our quirky little café showcases a range of beautiful products. We make a large variety of sandwiches fresh every day, plus gourmet pies, sausage rolls, bacon and egg rolls and an array of delicious sweet treats. We also have a selection of artisan bread and traditional New York style bagels for sale every day in our Café. Our coffee is made with a local ONA blend that makes for a delicious latte or flat white, whatever takes your fancy! Whether you are a tradie that wants a hearty lunch or a mum that wants to have a coffee and a pastry with a girlfriend, the Bread Nerds Café has exactly what you need. These hustling and bustling farmers markets are absolutely some of the best in Canberra. Put on every Saturday Morning by the Rotary Club of Hall, this market is filled with the freshest products sold only by local people of the region. With over 100 stall holders and thousands of customers that come through, there is never a dull moment at the Capital Region Farmers Markets. Every Saturday we take out hundreds of sourdough loaves, bagels and sweets, aiming to supply Canberra with the freshest and highest quality products possible. We are proud to have been going to this market for the past 10 years and will continue to do it for many more to come. The Southside Farmers Market is a village market that is held every sunday at the Woden CIT. The market has a great range of fresh, seasonal produce from around 60 stallholders each week. 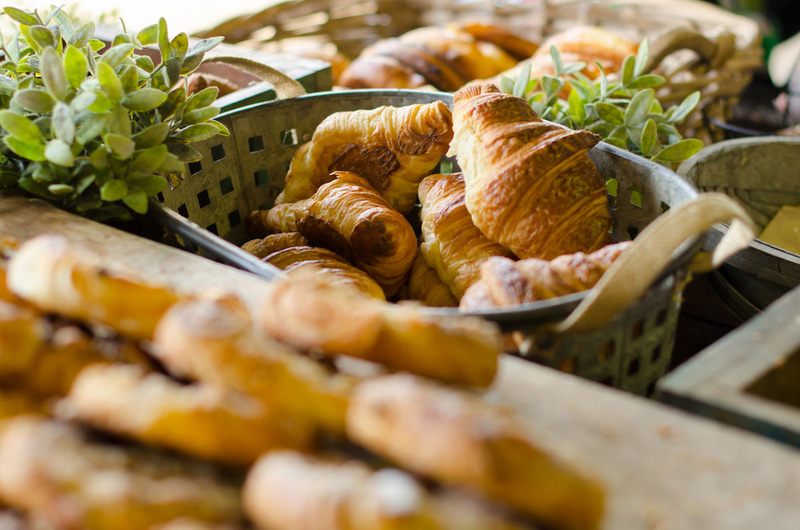 We take our sourdough, bagels and sweets every week to provide the residents of Southside with freshly baked goods. This is the market where Bread Nerds sold our very first bagels so it holds a special place in our hearts. Stall holders sell anything from delicious food to hand made crafts, jewellery and clothing. In the beautiful old industrial building, this market is the perfect place to take a Sunday stroll and soak up the atmosphere. 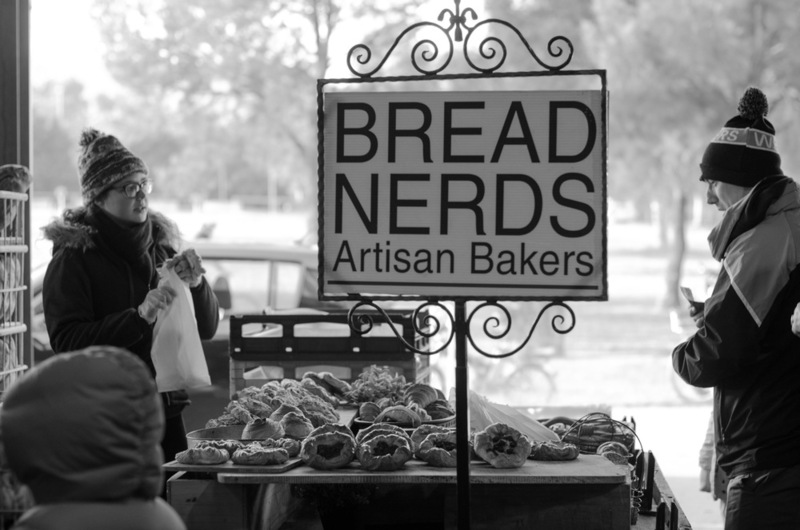 Bread Nerds delivers seven days a week to any area of Canberra. We use an online ordering system called Ordermentum. If you would like more information, please fill out your details below so we can email you a Wholesale Ordering Information! Have you placed your order for tomorrow yet? Log on to 'Ordermentum' now and check! Download our Wholesale Ordering Information NOW! Own a cafe, restaurant, supermarket or independent grocer? Want Bread Nerds to supply you with our delicious baked goods? Fill in your details below and we will send you all the info you need to know on ordering at Bread Nerds! Thank you for enquiry about wholesale ordering with Bread Nerds! Unit 4, 92 Sawmill Circuit Hume. Send your CV and resume to info@breadnerds.com or phone 62601006.